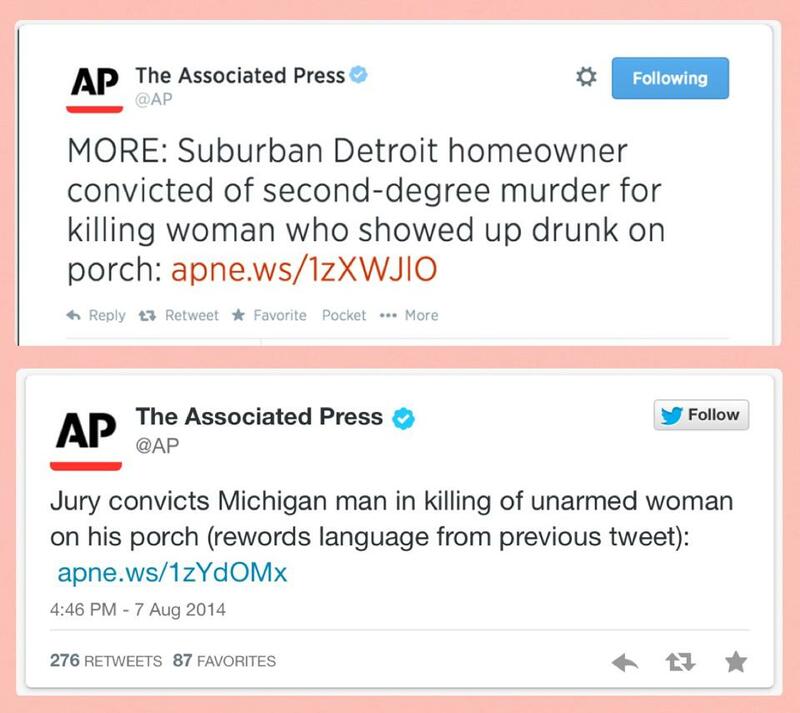 The Associated Press is catching a barrage of criticism for its Tweet on Thursday about the conviction of a Dearborn Heights man who shot and killed an unarmed 19-year-old Detroiter. I have so much to say about this but I think the verdict was wrong! Toxicology report showed that she “was” drunk ” and high!